Introducing the Smartplex Smart Light Switch, the sleek way to modernize your home and bring in the digital era of light switches! If the modern, minimal style of home is what you’re after, then make sure you invest in a Smartplex Smart Light Switch to add the final touch. To add a minimal, modern touch to your home, get rid of your old light switches and welcome into your home to this sleek, stylish Smart Light Switch. From its appearance to its functionality, this is the most advanced light switch you’ll own. Each Smart Light Switch can be controlled with the lightest touch, it feels like the glass of a smartphone, and reacts to your fingers like one too. This Smart Light Switch boasts 3 buttons, so you can control a variety of lights in your home. As well as touch enabled, this Smart Light Switch can be controlled through a number of apps and devices. Our Smart Light Switch comes with a free app (iOS and Android) and allows you to turn your lights on and off from your phone or tablet. 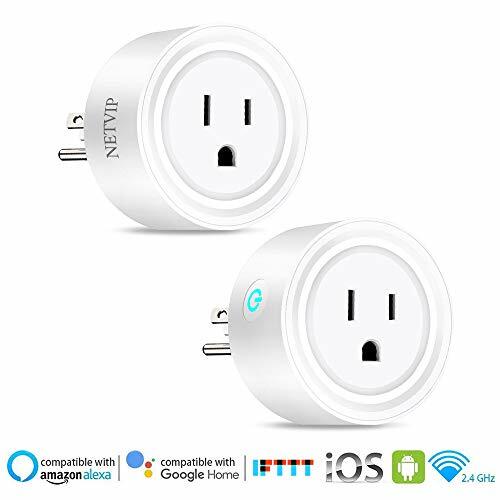 This Light Switch can also pair with Google Home, Alexa, and even IFTTT so that you can command your electrical fixtures to operate whenever you please. As well as being a clever light switch, it looks good too. Each light switch is crafted using tempered glass that looks stylish and sleek and is easy to clean! Each button also features an LED that emits a soft glow; red when the light is on, blue when off. 100% satisfaction for all of our customers is a high priority for us, so that’s why all of our Intelligent Light Switches come with a 30 day guarantee. If at any point you are not happy with your purchase, just let us know so we can send a replacement or refund.  MODERN DAY LIGHT SWITCH – Modernize your home with the 21st century light switch that will revolutionize your lights and electrical fixtures in your house. 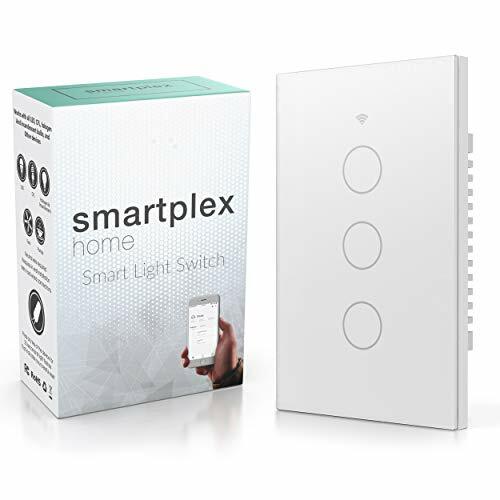 Get rid of your ugly, old fashioned wall light switches, and update your home with the Smartplex Wifi Light Switch; a revolutionary upgrade to the classic light fixtures that can be controlled with the lightest touch or even remotely controlled through your smartphone! ☝️ TOUCH ENABLED – The Smartplex smart light switch can be controlled with the slightest touch, enabled light switch boasts 3 aesthetically pleasing controls that can be connected to 3 separate electrical fixtures, such as lights. Its touch-enabled design makes it sleek and streamlined to use like a smartphone, and with its tempered glass design its easy to clean too.  LED BACKLIT – Each light switch features a soft LED that glows red when the lights are on, and blue when they’re off. Your light switch is easy to find at night, but has no impact on you when you’re asleep. The LED lights, combined with the sleek, smooth tempered glass, give this Google Assistant and Alexa compatible Smart Light Switch that futuristic feel. 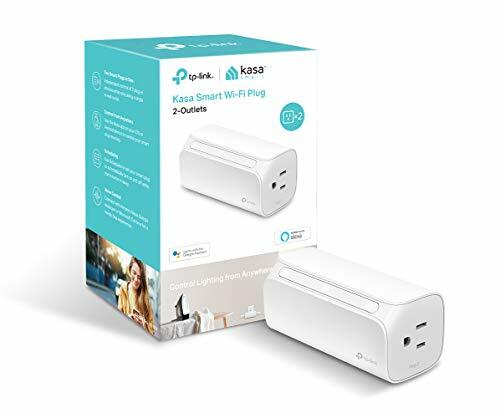  WIRELESS WIFI CONTROLLED – Going on holiday and you have a sneaking suspicion you forgot to turn off your lights? 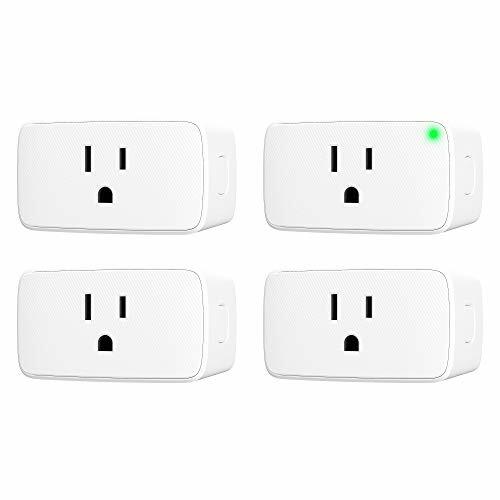 With the Smartplex Smart Light Switch that fear is a thing of the past. As well as touch enabled, you can control all of your lights directly from your phone with a free app (iOS and Android Compatible). Turn on your Air Con with Alexa or Google Home, and even program your lights when you walk in the house with IFTTT! Save money on your electricity bill with this smart switch.